We cycled to Noel’s Dad’s for dinner. 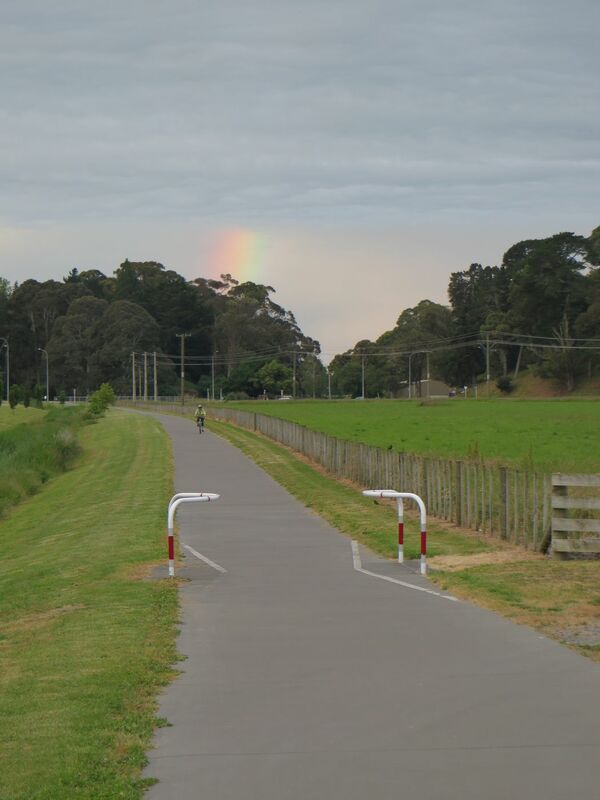 Napier and its surrounds have a pretty good cycle network with many off-road paths. Saw a rainbow on the way back.